Human Crasher ($1.99) by Funny Power is an arcade game that is filled with plenty of alien-invading action. 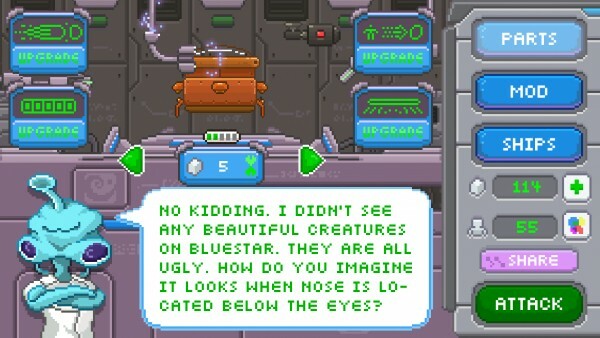 If you have ever wished to be in control of a UFO, going around and zapping up humans, then this is the game for you. 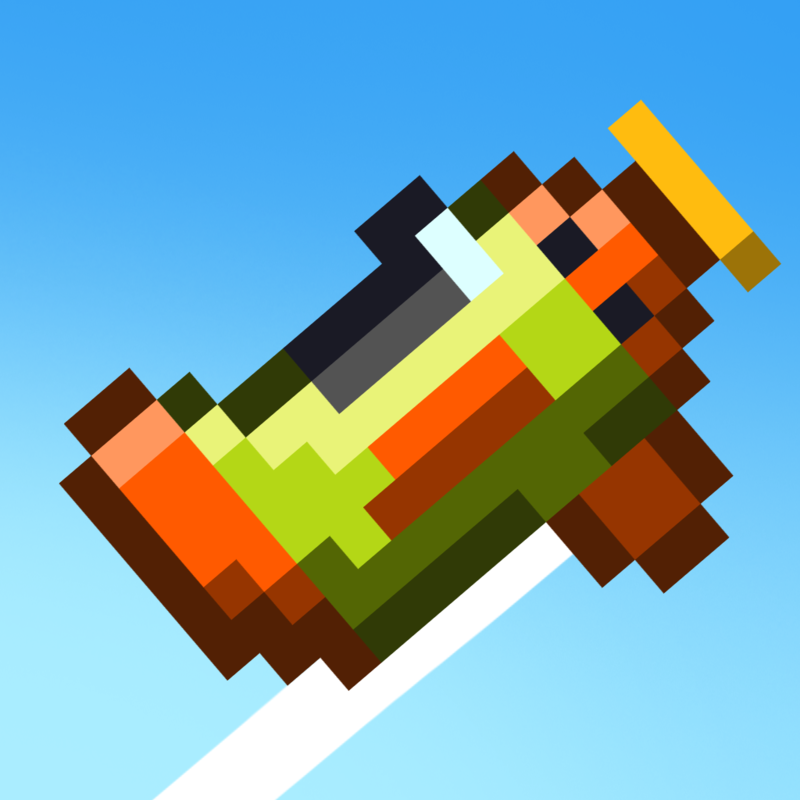 It’s a fast-paced game that is similar to titles like Mmm Fingers and Retry. When I have a few moments to spare during the day, I like to pick up my phone and play something that I can enjoy in short bursts. Usually, these end up being arcade games because of the rapid action and simple controls. Plus, I’m a sucker for the vintage, pixelated graphics, since I grew up in those times. So when I first heard about Human Crasher, I knew that I had to get my hands on it. 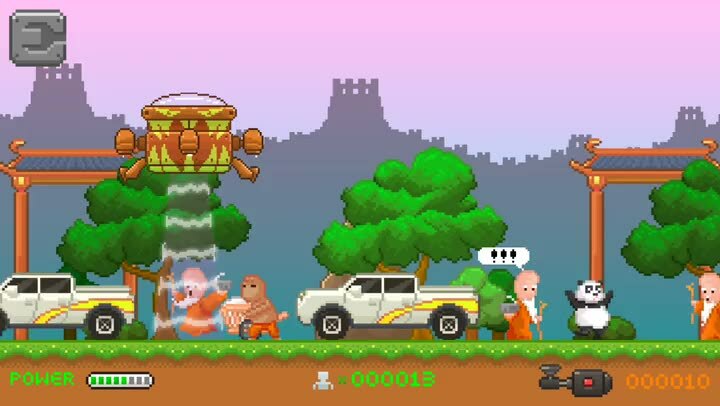 The graphics in Human Crasher are a beautiful homage to the 16-bit games that I used to play all day as a kid. While it’s pixelated compared to modern art styles, everything is detailed and the colors are bright and vivid. 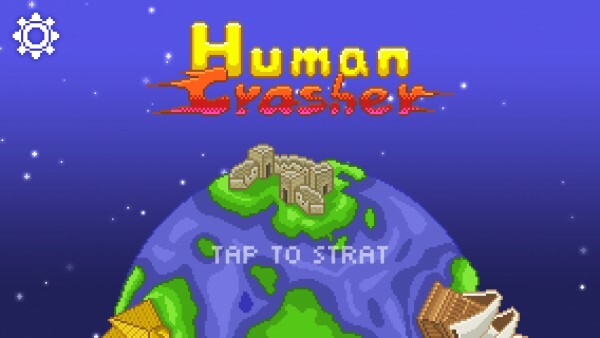 Human Crasher looks sharp and crisp on the Retina HD display. I found the animations in the game to be buttery smooth, and I had no lag whatsoever on my iPhone 6. To top everything off, the chiptune soundtrack and sound effects are an absolute joy to listen to. Human Crasher is a type of endless game, as you just go out in your UFO ship and gather up as many humans as you can, as they can be decomposed into energy. Your ship has a limited amount of fuel, so make the most of it — it recharges quickly enough. 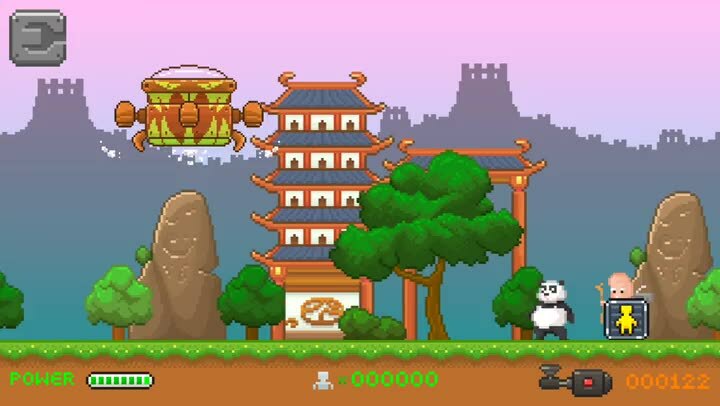 At its core, the game is an endless runner, but it also combines some aspects of twitch reflex games, because you will need to avoid dangerous obstacles and hazards. There are no levels in Human Crasher, but there are four different environments of BlueStar (also known as Earth) that you will fly through. After you reach a certain point, the area will change, so the game remains fresh and interesting while you play. 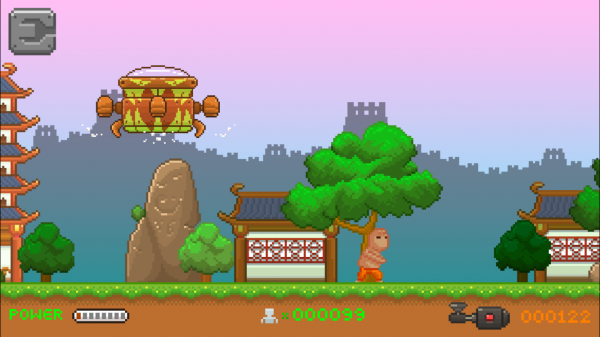 The controls in the game are super simple, but difficult to fully master. Your ship flies automatically, but you’re going to have to steer it to avoid human aircraft, missiles, and other dangers both above and below. To move the UFO down a bit, just swipe down on the screen. To activate your tractor beam and collect humans, just tap on the screen. You want to collect only the humans themselves, and no vehicles — these will damage your ship. When you take into account all of the things you have to do on each run, you’ll understand why it’s difficult to master the controls — there’s a lot happening. Your ship can take three hits before it means game over, or just wait until you run out of energy on your ship. 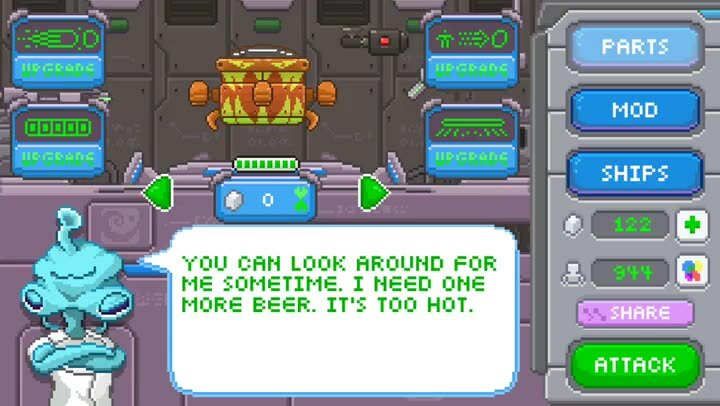 After each run, you will be awarded space rocks, the in-game currency, with the amount depending on your performance. 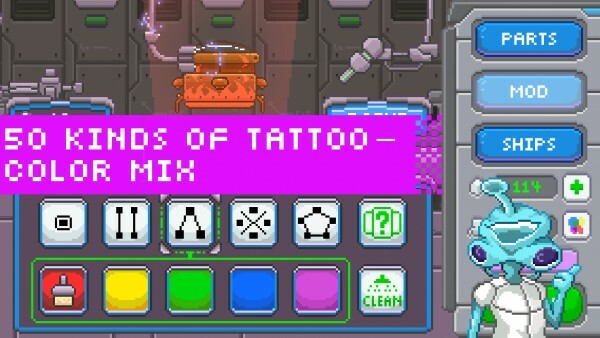 These can be spent in the shop for various ship upgrades, tattoo designs, and even better ships. The upgrades include anti-gravity (makes you fly faster), energy (ship power), organic decomposition tank (makes it faster to get energy blocks), and the gravitational-wave transmitter (helps you catch fat and heavier humans). Tattoos are painted on to the UFO to make it look more menacing, but you can clean it off at any time as well. The other ships that you can buy not only look awesome, but they have their own traits as well, such as more armor for taking hits or being more agile. 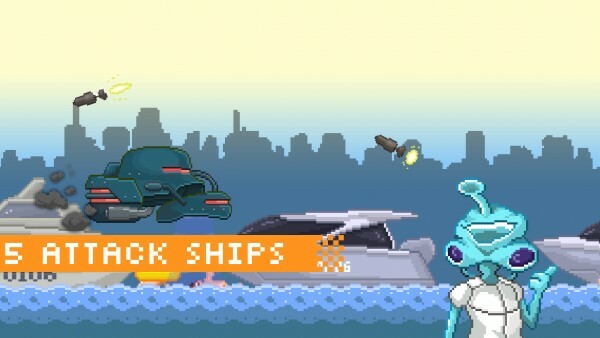 There is even the Hellfire ship, which you can buy with an in-app purchase of $2.99. 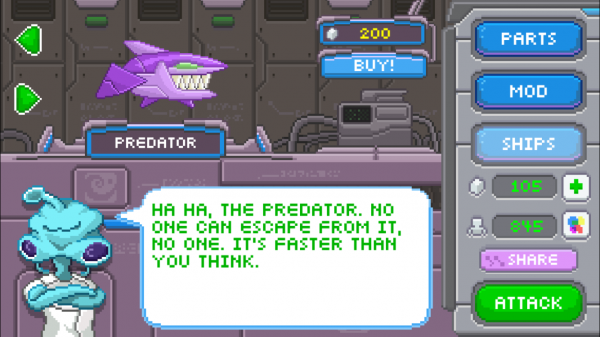 If you don’t have enough space rocks for the upgrades you want, you are able to get more through IAPs. I always find arcade games entertaining, and Human Crasher is no exception. I love the retro art style, quirky chiptune soundtrack, the intuitive controls, and delightful gameplay mechanic. Plus, who has never wondered what it’s like to fly a UFO and congregate a bunch of humans? The crazy action that this game has will keep me busy for a long time. 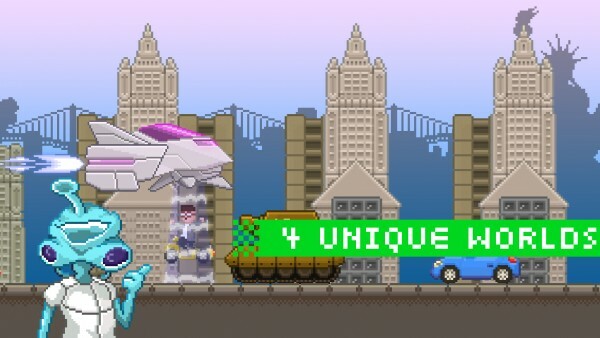 I highly recommend checking out Human Crasher if you like action-packed arcade games. You can find it on the App Store as a universal download for $1.99.